This essay will examine some new developments in the case of one of the most notorious war crimes committed by the Salvadoran security forces during the twelve year long civil war: the massacre on the campus of the José Simeón Cañas University of Central America (UCA) in San Salvador on November 16, 1989. This is an immensely important issue because it could begin to balance the dialectic between impunity and accountability to the side of accountability. For the first time, a high-ranking army officer may soon be tried for this crime. A number of legal actions have converged to make this possible, with the main players being a Spanish Court, US immigration authorities, and the methodical work of the Center for Justice and Accountability (CJA). Their work, in turn, would not have been possible if not for the dedication of the Lawyers Committee for Human Rights and the late Congressman Joseph Moakley early on in the investigation.1 We begin with a brief description of the crime and its historical context, and then turn to the significance of the conviction last month of Inocente Orlando Montano on charges of immigration fraud and perjury. These cold-blooded murders were carried out by government forces in the course of an FMLN guerilla offensive that took the civil war to streets of San Salvador. As veteran commentator Peter Kornbluh points out, “Embarrassed by the strength of the insurgency, senior Salvadoran military officers decided to kill as many activists, labor leaders, and “subversive elements” as they could find…”.4 Why launch an assault on the UCA? The university was obviously not a military threat, having been surrounded by a security perimeter of about 300 soldiers days before the murders. Rather, it was the mission and praxis of the university that made it “subversive” to oligarchic interests and ideology. Since its founding in 1965, the UCA has played a prominent intellectual role in the cultural, social, and political life of the country. The University’s mission has been informed by a liberation theology motivated by a preferential option for the poor. The relationship of the Jesuit faculty to the army and the government was not, however, always adversarial. In October 1979, at a crucial juncture in modern Salvadoran history, there is evidence that Ellacuría offered assistance in drafting a set of reforms that were announced in the form of a proclamation by a Revolutionary Governing Junta (Junta Revolucionaria de Gobierno, JRG) that had just come to power through a coup.9 The JRG was constituted and supported by a broad based coalition, including the reformist Young Military (Juventud Militar), led by Colonel Adolfo A. Majano. If the reformists had been able to implement a promised set of political, social, and economic reforms, civil war might have been averted.10 The Carter Administration, which was supplying military and logistical assistance to the Salvadoran government, also thought the JRG could succeed, but failed to apply sufficient leverage in support of moderates on the Junta. After the oligarchic forces and their hard line allies in the military defeated reformist efforts and isolated Colonel Majano, the JRG fell apart. Although a series of new Juntas were formed, it was too late; the country spiraled into civil war. The following year, the war against the church was intensified with the well-planned assassination, on March 24, 1980, of Archbishop Oscar Arnulfo Romero. Despite the intensifying persecution of the popular church and threats against the UCA, the university maintained its academic autonomy and faithfulness to its mission. Its Rector, Father Ignacio Ellacuría, to the chagrin of the Salvadoran security forces, continued to advocate for a negotiated settlement to civil war, expose the underlying causes of the conflict, and promote social and economic justice. It was this profound and committed spirituality the high command of the Salvadoran Armed Forces tried to destroy on November 16, 1989. When the peace accord that brought the war to an end was signed in 1992, there was hope that this institutional corruption of the Salvadoran security forces could be addressed so that war criminals would be held accountable for their crimes. But in 1993 an amnesty law was passed under which the soldiers jailed for the UCA massacre were freed and those who committed war crimes were protected from prosecution. Those who violated human rights during the war, however, were not to be protected from the investigative arm of the Truth Commission on El Salvador. The UN-sponsored Truth Commission on El Salvador investigated human rights abuses that occurred during the civil war. Since the first truth commission was implemented in Uganda in 1974, they have played an important role in the investigation of human rights violations, but a limited role in holding perpetrators accountable for their crimes. In the case of El Salvador, unlike the role of the commission in South Africa, there were neither confessions by the war criminals nor displays of forgiveness by the survivors. The IACHR’s recommendations likely went unheeded because the right wing ARENA party that dominated the government during the war remained in power another two decades. As legal expert Margaret Popkin points out, a peace process “is challenging in a context such as El Salvador’s where the regime responsible for many human rights violations remained in power, where state institutions remained weak, and where those primarily responsible for the violations retained significant power.”19 As mentioned above, this “significant power” of ARENA and its allies would be quickly translated into the legalization of impunity. The Amnesty Law was passed by the National Assembly on March 20, 1993 by ARENA and other right wing parties in a 47 to 8 vote (with 13 abstentions) and signed into law by President Cristiani just five days after the Truth Commission on El Salvador issued its report. In effect, the passage of this law was a self-amnesty, not a popular act of forgiveness, because it was passed by the same governing party under which the abuses took place. It met with the immediate opposition of the UCA, some Salvadoran human rights organizations, and the international human rights community. In a country where more than 75,000 non-combatants were killed, largely by the security forces and their allied death squads, the amnesty law continues to deprive survivors of closure and the dead of justice and retribution. By the late 90’s, international pressure with regard to resolving the Jesuit case began to intensify. In 1999, the Inter-American Commission ruled that El Salvador’s amnesty law violated international law by foreclosing further investigation of the 1989 murder of six Jesuit priests and two women.20 This law is still hotly controversial; Amnesty International strongly encouraged the repeal of the 1993 amnesty law in March 2010. Last year, the mere rumor that the Supreme Court of El Salvador was about to rule on the constitutionality of the Amnesty Law provoked ARENA to attempt legislative strategies to weaken the courts prerogatives, causing a constitutional crisis. The examples of Uruguay and Argentina, which have repealed their amnesty laws, have shown that it is possible to overcome great political obstacles to end the reign of impunity. 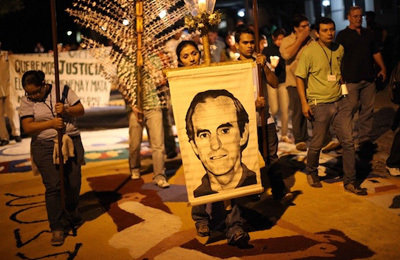 While amnesty for war criminals continues to prevail in El Salvador, a tangible legal initiative for justice came from outside the country in the case of the infamous Jesuit murders. In 2008, nearly two decades after the massacre at the UCA, a complaint in the Spanish High Court brought hope that the perpetrators of this crime could some day be brought to justice. 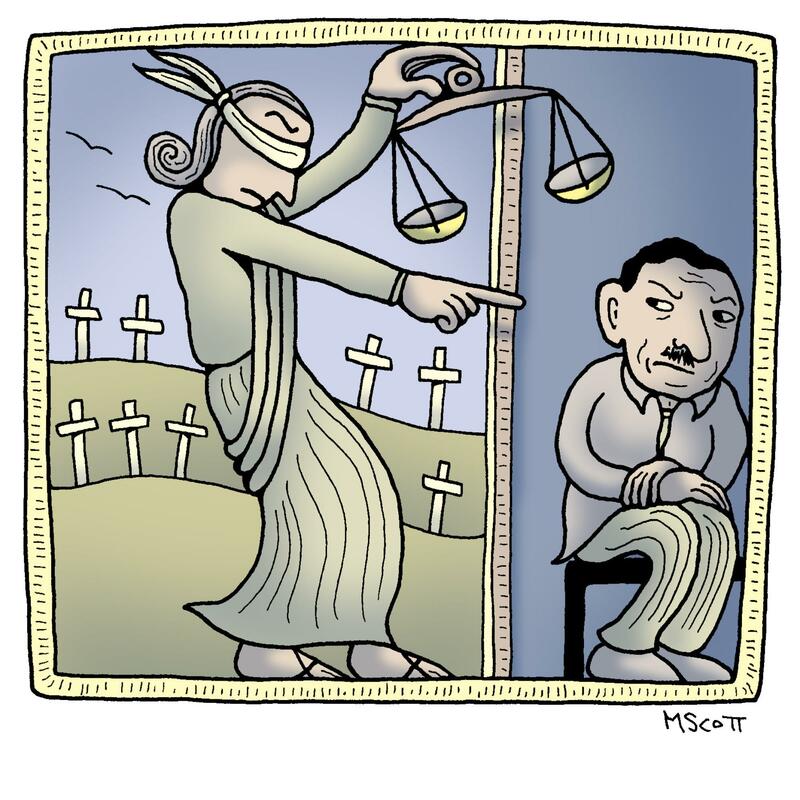 While the cause of universal jurisdiction motivated the Spanish court to take this case, it was litigated under a 2009 Spanish law that provides for jurisdiction when the victims are Spaniards.21 On May 30, 2011 a Spanish court brought formal charges against 20 Salvadoran military officers and soldiers for their participation in the 1989 massacre.22 This effort at attaining accountability was blocked by the Supreme Court in El Salvador in May 2012 when the court denied Spain’s request for the extradition of thirteen of the military officers responsible for the massacre at the UCA.23 The Salvadoran court ruled that Salvadoran law prohibited the extradition of citizens for crimes committed prior to 2000. 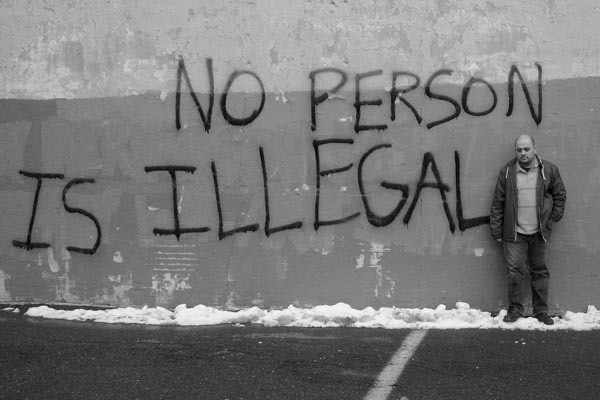 This ruling, however, does not protect those charged who are residing outside of El Salvador. Given these legal proceedings and stance of the ICE and the US prosecutor, the Montano case gives hope to those seeking to bring Salvadoran war criminals to justice, when one particularly recalls the terrible violence brought on El Salvador by U.S.-backed and trained Salvadoran troops. Without justice for those responsible for this egregious crime against humanity, Salvadorans will continue to feel that justice will elude their hopes to move beyond their pain and heal from the long-term impunity that has been granted to some of the most senior military officers. As Bessy Blanco, member of the Salvadoran Lawyers Association, based in the US, points out, “the trial of those military persons who were involved in the Jesuit case would be the beginning of the healing process the Salvadoran society needs to move forward.” Although successful legal proceedings are an important part of conflict resolution, the ultimate key for reconciliation will undoubtedly be the achievement of the sort of social and economic change that Ellacuría so eloquently articulated during his life and which continues to motivate a new generation of Salvadoran patriots. 1 For the definitive book on this case see Doggert, Martha (1993). 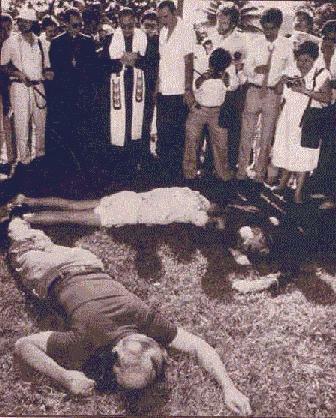 Death Foretold: The Jesuit Murders in El Salvador. Washington DC: Georgetown University Press. Hereafter cited as Doggert (1993). 5 Ellacuria, Ignacio. The university, human rights, and the poor majority. 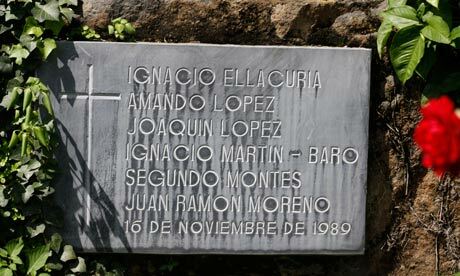 In Towards a Society that Serves its People: The Intellectual Contribution of El Salvador’s Murdered Jesuits. Edited by John Hassett and Hugh Lacey, Georgetown University, 1991. The original was published in 1982, pp. 208 – 219. Hereafter cited as Ellacuria, 1982. 6 Lacey, Hugh, Journal for Peace and Justice Studies 6, No. 2, 1995. 7 Ellacuria, 1982, p 219. 8 Doggert, Martha (1993), Appendix B. 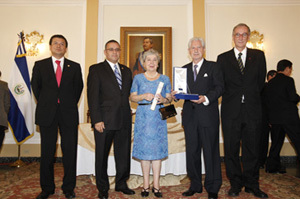 9 The role of Ellacuria is not certain, but evidence of his participation in the drafting of the Proclamation of the Armed Forces of El Salvador is presented in Rafael Menjivar Ochoa, Tiempos de Locura, Flasco: San Salvador, 2008, pp. 151-161. 10 See Majano Adolfo A (2009). Una Oportunidad Perdida: 15 de Octubre, 1979. San Salvador, El Salvador: Indole Editores. 13 See Doggert (1993) “Statement of Representative Joe Moakley Chairman of the Speaker’s Task Force on El Salvador”, November 18, 1991. See also Doggert (1993), Chapters III and IV. 14 In Doggert (1993), p. 213. 15 The truth commission, whose members were all non-Salvadoran, failed to provide a uniquely Salvadoran perspective on the findings unlike the comparable commissions in Peru, Chile, Paraguay, and Guatemala. 16 Truth Commission on El Salvador Report. 18 Inter-American Commission on Human Rights, Report No. 136/99, paras. 229-230. 19 Margaret Popkin, “The Salvadoran Truth Commission and the Search for Justice”, Criminal Law Forum (2004) 00: 1-20. 21 Lead counsel on the Jesuit Massacre case at the Center for Justice and Accountability characterizes this specific case as “special jurisdiction” of a crime against humanity rather than a universal case per se. For the term “special jurisdiction”, there is no legal definition, just a doctrinal distinction, which is a legally accepted reality for cases that do not fall under the realm of universal jurisdiction. 26 The Center for Justice and Accountability has had a long history with El Salvador since they filed their first case in 1999 and obtained first judgment in 2002 in the case of the 1980 murder of the Archbishop Oscar Romero.